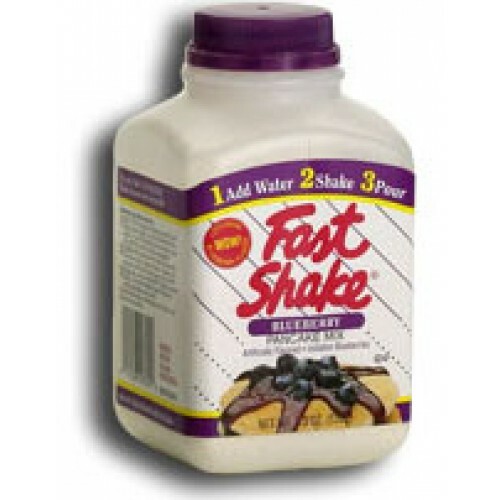 Get the great taste of homemade pancakes fast with FastShake Pancake Mix! 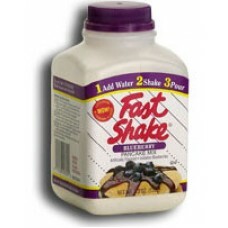 Just add water to the FastShake bottle, shake to mix, and pour onto your hot griddle for delicious blueberry pancakes every time…anytime. 12 Bottles - each bottle makes seven 4" blueberry pancakes. Just add water to bottle.